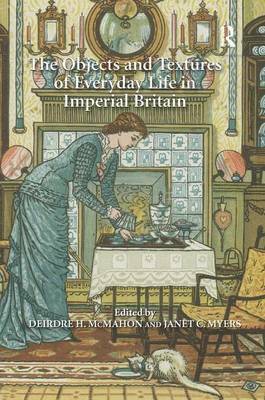 Focusing on everyday life in nineteenth-century Britain and its imperial possessions"from preparing tea to cleaning the kitchen, from packing for imperial adventures to arranging home decor"the essays in this collection share a common focus on materiality, the nitty-gritty elements that helped give shape and meaning to British self-definition during the period. Each essay demonstrates how preoccupations with common household goods and habits fueled contemporary debates about cultural institutions ranging from personal matters of marriage and family to more overtly political issues of empire building. While existing scholarship on material culture in the nineteenth century has centered on artifacts in museums and galleries, this collection brings together disparate fields"history of design, landscape history, childhood studies, and feminist and postcolonial literary studies"to focus on ordinary objects and practices, with specific attention to how Britons of all classes established the tenets of domesticity as central to individual happiness, national security, and imperial hegemony.